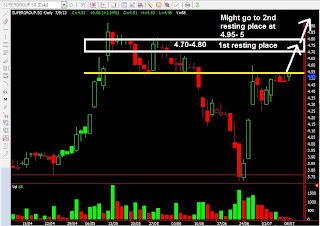 Supergroup if it break out, which seems likely, might be going up to 4.7-4.8 region to take a rest. 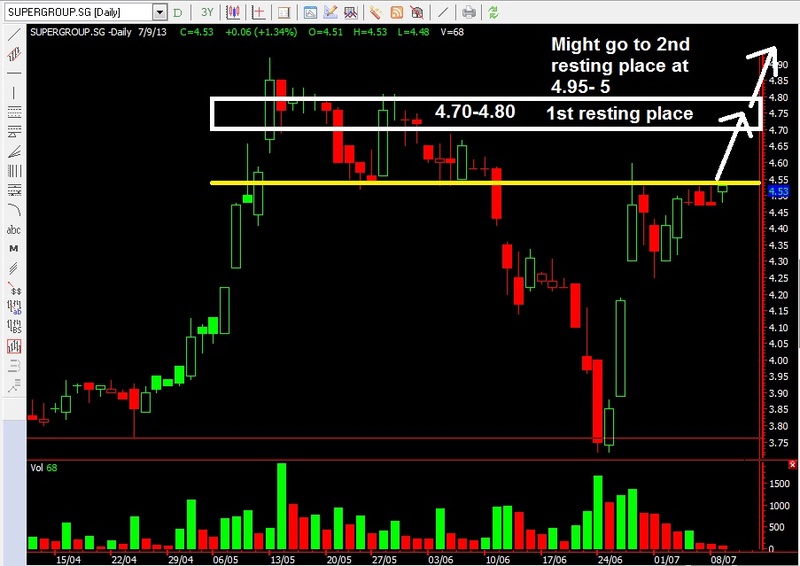 If it rest in the price range without collapsing, it might try to take aim at 4.95-5.00. If it collapse, forget it. Short term - mid term play.